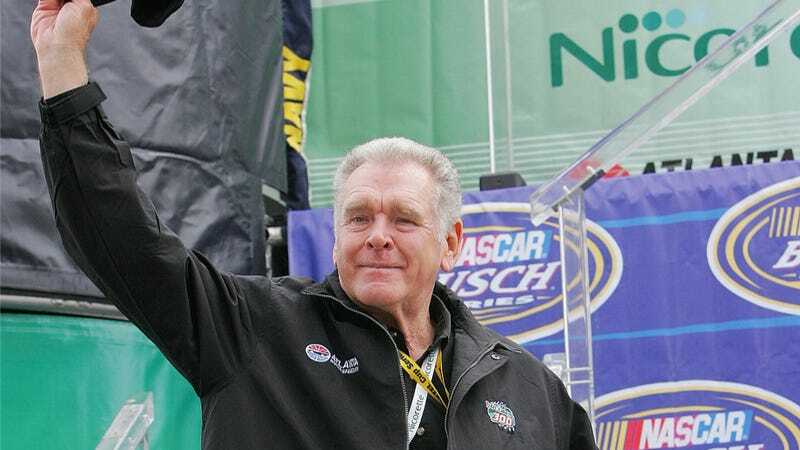 Elzie Wylie Baker, Jr., more popularly known as NASCAR great Buddy Baker, died this morning. Diagnosed with inoperable lung cancer this past December, the 74-year-old Baker set numerous NASCAR records and firsts, including the first lap at over 200 miles per hour. Baker, who raced in NASCAR from 1959 to 1992, accumulated 38 pole positions and 19 wins over the course of his career. He was known as a super-speedway specialist, with two wins at Daytona (including the fastest Daytona 500 on record), four at Talladega, a whole bunch at Charlotte, and smatterings at Darlington as well. After retiring, he became a regular NASCAR commentator, co-hosting on SiriusXM right up until last month, and a driving instructor and coach. In celebration of his life, let’s all watch Buddy Baker breaking 200 miles an hour. It’s the sort of thing everyone dreams of.